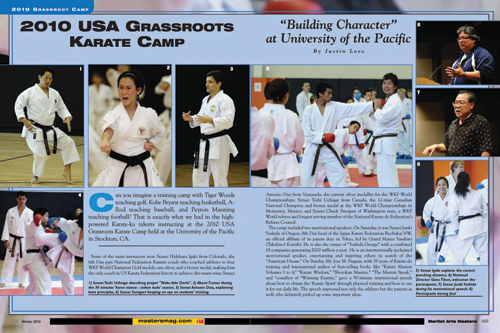 Our mission is to create world-class Grassroots Karate Camps to enrich young karate-ka lives (12 yrs and up, under 12 yrs with parent or sensei accompany) and grassroots coaches (ages 18 years and up). The GK Program provides to the athletes a high-level Karate training under some of the finest instructors in the world; challenging them to achieve their best, both physically and psychologically, while developing positive self-esteem to pursue their goals in life. We make a difference in the participants’ lives by sharing an Olympic attitude and providing the proper mental and psychological tools for success. We foster the possibility for each athlete/karateka to realize and reach their dreams in life. 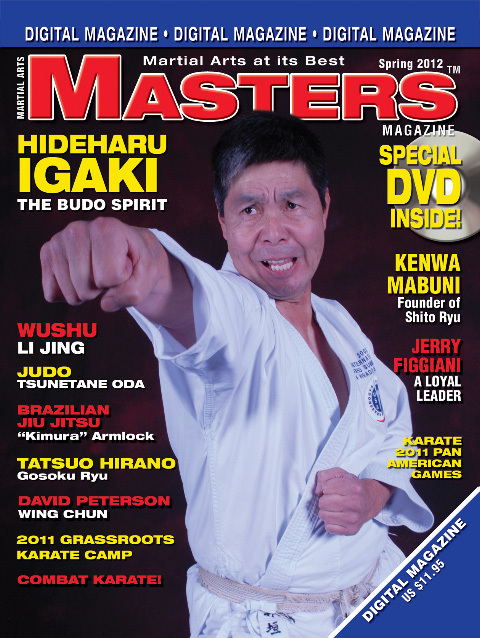 Our goal is to implement Olympic strength and Karate condition/technical drills to their area of the Grassroots Development Program, so when the athletes and coaches back in their dojos, they can take Karate-do to a new level of development, and nurture the historical and educational elements of the traditional art. We provide the participants with new and up-to-date skills and conditioning training methods. The classes are imparted by world-class teachers/sensei - that will help the participants to achieve the highest level in the art and sport of Karate-do. We work to support and inspire, and at the same time, give and share the tools to accomplish the dreams in any field the participants wish to pursue.